Sometimes it is difficult to make others understand the importance of providing free educational opportunities at Head Start preschool programs across the country. Other times, it seems as if everyone understands and that we are just preaching to the choir. However, it is still important to make sure that all people see the benefits of providing an early learning program to low-income families, so if we just focus on the four primary benefits as outlined on the National Head Start Program website, which has been compiled from years and years of research, perhaps we can open some eyes. 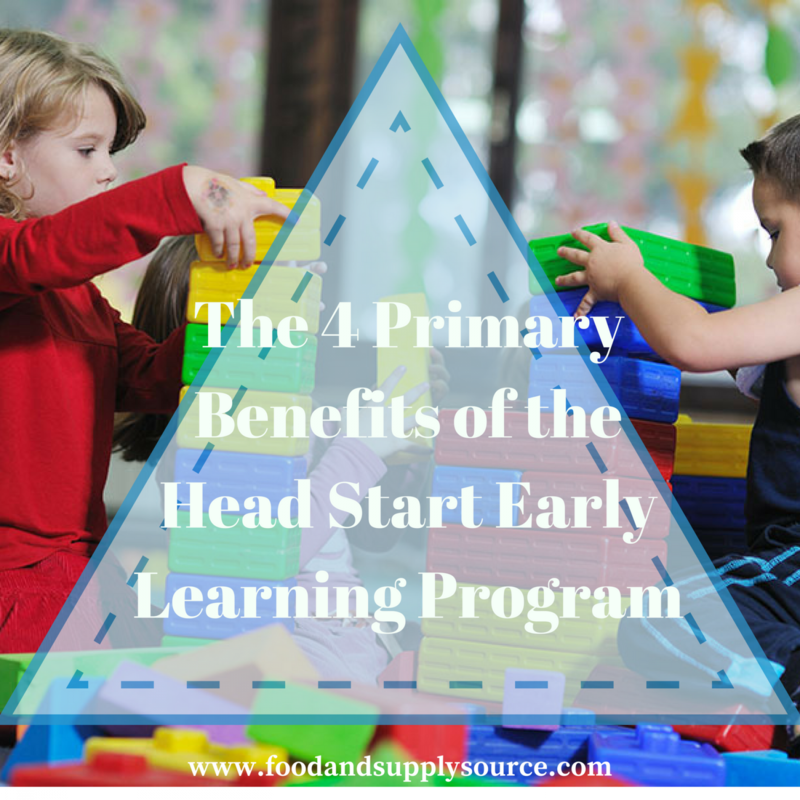 It may seem obvious that Head Start preschool provides young children with education. However, not everyone agrees on the importance of an early learning program for children under the age of four. While we have programs that try to educate adults about the need for “First Five” attention and advocacy and the President is attempting to pass a preschool-for-all opportunity for every four year old in our nation, many people just aren’t aware of how important early education can be for a child. Research has shown that Head Start preschool and Early Head Start locations can provide children with educational benefits. In fact, a survey was conducted to determine family and child experiences nationwide, which revealed testing scores for children who graduated from a Head Start program. By spring of their first year in school at Kindergarten age, Head Start preschool graduates were at normal levels for early writing and reading, while being close to national normal levels for vocabulary and early math. While this may not seem like a huge deal, it has been proven that children from low-income or otherwise disadvantaged families typically test well below the normal national average in those areas. The study on the impact of an early learning program also revealed that parents of Head Start preschool children read to their children more often than parents of children who were not in an early learning program. Children who participate in Head Start and Early Head Start at locations near them were also healthier than children of low-income families who did not. One startling survey revealed that the mortality rate for children between the ages of five and nine-years old was 33-50 percent lower for children who attended Head Start preschool than children who were not enrolled. A higher percentage of children in the early learning program also received dental care than children not enrolled in Head Start preschool. In addition to raising the mortality rate and providing children with quality dental care and fostering an interest in receiving dental care, Head Start preschool was also shown to reduce both the frequency and the severity of problem behavior in young children, as reported by their parents and their teachers. Children in Head Start preschool are also more likely to have had immunizations than children who did not attend an early learning program, by as much as eight percent, and research shows that attending Early Head Start locations for education, nutrition and health services reduces childhood obesity across the board. The study also revealed that parents who actively participate in their child’s Head Start preschool program, were found to have more confidence and ability in coping skills and quality of life satisfaction. They also had decreased feelings of depression, sickness and anxiety. While Head Start preschool on a national level is a huge investment for the American people, research shows that this investment is paying off. In fact, preliminary results from a long-term study that was conducted in California’s San Bernadino County revealed that society receives nearly $9 in benefits for every $1 that was invested in local Early Head Start locations. The study followed 600 Head Start graduates in the county area and looked at benefits associated with family stability, decreased dependence on welfare, crime costs, special education, employment, grade repetition and increased earnings. Parents who receive healthcare and nutrition education through their child’s early learning program participation can decrease Medicaid costs for the family by $198 each year. While we touched on reduced crime costs for children participating at Early Head Start locations in their area, the benefit to law enforcement runs even deeper. While Head Start preschool focuses on improving the education, nutrition and health of the children and families who participate, there are even larger scale benefits to those families and the community at-large through crime reduction and costs associated with victims of crime. Head Start preschool graduates were found to be significantly less likely to be charged with a crime – even compared to siblings that did not participate in the Head Start early learning program. Money is a huge factor in everything that we do, especially in early learning programs like Head Start, which rely on government funding. In the recent budget cuts of 2013, Head Start preschool programs were hit with an across-the-board five-percent cut in funding, causing many Early Head Start locations to reduce services or shut down completely. Head Start preschool administrators can reduce costs associated with office and janitorial supplies to help keep their programs open and functioning at a level that will make a difference for these children and their families. Using a discount supply source, such as SupplySource Plus, administrators can experience between 10-35 percent reductions in spending for these supplies than with their current purchasing program. Beyond just being a discount supply source for these programs, SupplySource Plus also provides a free audit of each Head Start preschool and Early Head Start locations’ current spending and shows them how they can make better choices that will save them money. Do you part to help keep early learning programs like Head Start preschool open in your neighborhood. Ask your Head Start preschool administrator if they use SupplySource Plus to reduce these costs and tell them about the free program available to all human services organizations. In addition to Head Start, SupplySource Plus also offers access to discount supply source to senior centers, special needs activity centers and other similar community programs that provide services to local residents near you. Call SupplySource Plus today to find out more about the services we provide to Head Start preschool programs and more!